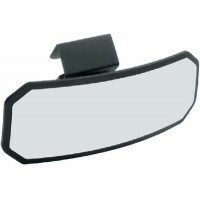 Universal mount installs on dash or windshield. Shatterproof, 180° convex mirror eliminates blind sp..
Made from kelp- thick enough to stick to top of your binding allowing you to slip your foot in and g..
Bg bad betty wakeboard Weight: 125 lbs. & UpSize: 139 cmRocker: 6.3 cm..
Bg wakeboard w/brandon binding Weight: 125 lbs. & UpSize: 140 cm x 17.5Rocker: (3cm) 3 Stage.. The wide nose gives extra lift for easy starts, while the parabolic side cut allows for smooth carvi..
Signature crk prem. 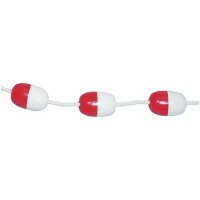 molded Length: 137 cm..
Bg deluxe wb rope Sections: 4 (adjustable in 5' increments)Length: 75'.. Massive expanse of neoprene across the middle insures that up to three riders can enjoy this tube fo..
Bg comfort top 66 wing shape Size: 66"Riders: 1-2..
24 gauge PVC inner bladder. 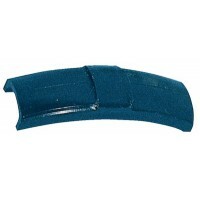 Tough 420 Denier nylon outer cover. Features Patent Pending S3 Technolog.. This is a traditional round tube with some non-traditional features including 4 nylon covered handle..
4 person tube rope w/ spool Riders: 3-4Sections: 2Length: 60'..
Great for markers and ski tow ropes. Model 1502R rope floats will lock in place when used in conjunc..
Universal mount for above or below the windshield frame. Fits windshields 1/8" to 5/8" thick. Fully .. Bracket can be mounted to dash or windshield. 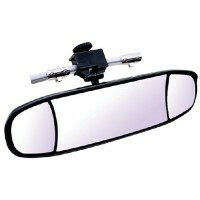 Size: 14" W x 7" HDescription: Mirror Only, w/o Bracke..
Universal mirror easily mounts above or below the windshield frame. Offers permanent or temporary mo.. Bracket can be mounted to dash or windshield. 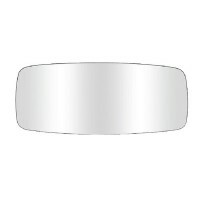 Size: 14" W x 7" HDescription: Includes Round Bracket.. Bracket can be mounted to dash or windshield. 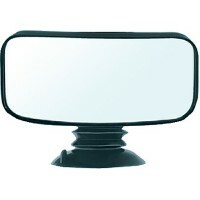 Size: 14" W x 7" HDescription: Includes Square Bracket..
Ball and socket tension adjustment knob to keep the mirror where you position it. Bracket will mount..
Convex mirror with quick mount system. Color: black. 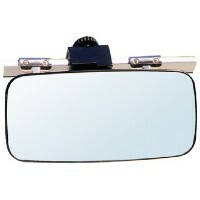 Universal - mounts above or below windshield. 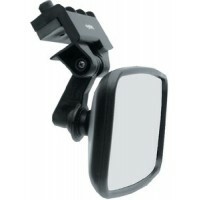 S..
Multi-lens mirror - one stationary, two adjustable. 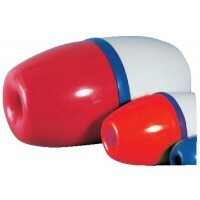 Features a ball and socket adjustment knob that .. Bracket can be mounted to dash or windshield. Size: 14" W x 7" HDescription: Replacement Glass.. Fully adjustable mirror. 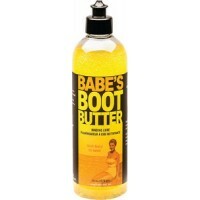 No holes to drill, no tools required and no scratching. Attaches to any cle..
Epic neoprene pfd - women xl Chest: 39"-42"Size: Women's XLColor: Checkered..
Men amp neo 2xl Chest: 48"-50"Size: Men's XXLColor: Red/Black..
Men amp neo l Chest: 40"-42"Size: Men's LColor: Red/Black..
Men amp neo m Chest: 36"-38"Size: Men's MColor: Red/Black..
Men amp neo s Chest: 32"-34"Size: Men's SColor: Red/Black..
Men amp neo xl Chest: 44"-46"Size: Men's XLColor: Red/Black..
M's axis 2xl bl/gn Chest: 48"-52"Size: Men's XXLColor: Green/Blue..
M's axis neo m bl/gn Chest: 36"-40"Size: Men's MColor: Green/Blue..
M's axis neo s bl/gn Chest: 32"-36"Size: Men's SColor: Green/Blue..
M's axis neo xl bl/gn Chest: 44"-48"Size: Men's XLColor: Green/Blue..
Pfd 500 neo epic men's lg Chest: 40"-44"Size: Men's LColor: Black..
Pfd 500 neo epic men's med Chest: 36"-40"Size: Men's MColor: Black..
Pfd 500 neo epic mens sm Chest: 32"-36"Size: Men's SColor: Black..
Pfd 500 neo epic men's xl Chest: 44"-48"Size: Men's XLColor: Black..
Xpic neoprene pfd - men m Chest: 36"-40"Size: Men's MColor: Gray/Black..
Epic neoprene pfd - men s Chest: 32"-36"Size: Men's SColor: Gray/Black..
Pfd 500 neo epic men's 2xl Chest: 48"-52"Size: Men's XXLColor: Black..
Pfd 501 neo epic women's xl Chest: 39"-42"Size: Women's XLColor: Blue..